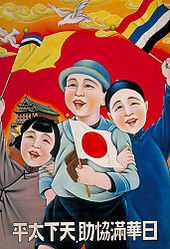 According to Nakami Tatsuo, Siebold was the one who brought the usage of the term Manchuria to Europeans, after borrowing it from the Japanese, who were the first to use it in a geographic manner in the eighteenth century, while neither the Manchu nor Chinese languages had a term in their own language equivalent to "Manchuria" as a geographic place name. According to Bill Sewell, it was Europeans who first started using Manchuria as a name to refer to the location and it is "not a genuine geographic term". The historian Gavan McCormack agreed with Robert H. G. Lee's statement that "The term Manchuria or Man-chou is a modern creation used mainly by westerners and Japanese", with McCormack writing that the term Manchuria is imperialistic in nature and has no "precise meaning", since the Japanese deliberately promoted the use of "Manchuria" as a geographic name to promote its separation from China while they were setting up their puppet state of Manchukuo. Of the initial high-level officials employed by the Manchukuo regime, few had ethnic Manchu names. 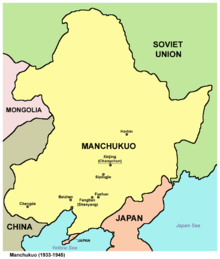 During its short-lived existence, Manchukuo was divided into between five (in 1932) and 19 (in 1941) provinces, one special ward of Beiman (Chinese: 北滿特別區) and two Special cities which were Xinjing (Chinese: 新京特別市) and Harbin (Chinese: 哈爾濱特別市). Each province was divided into between four (Xing'an dong) and 24 (Fengtian) prefectures. Beiman lasted less than 3 years (1 July 1933 – 1 January 1936) and Harbin was later incorporated into Binjiang province. Longjiang also existed as a province in 1932 before being divided into Heihe, Longjiang and Sanjiang in 1934. Andong and Jinzhou provinces separated themselves from Fengtian while Binjiang and Jiandao from Jilin separated themselves in the same year. 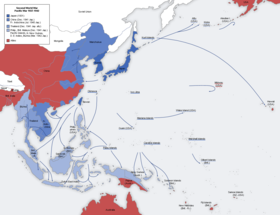 The far right wing Japanese ultra-nationalist Black Dragon Society supported Sun Yat-sen's activities against the Manchus, believing that overthrowing the Qing would help the Japanese take over the Manchu homeland and that Han Chinese would not oppose the takeover. 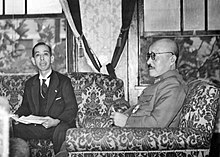 The far right wing Japanese ultranationalist Gen'yōsha leader Tōyama Mitsuru believed that the Japanese could easily take over Manchuria and Sun Yat-sen and other anti-Qing revolutionaries would not resist and help the Japanese take over and enlargen the opium trade in China while the Qing was trying to destroy the opium trade. The Japanese Black Dragons supported Sun Yat-sen and anti-Manchu revolutionaries until the Qing collapsed. 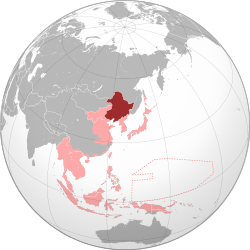 Toyama supported anti-Manchu, anti-Qing revolutionary activities including by Sun Yat-sen and supported Japanese taking over Manchuria. The anti-Qing Tongmenghui was founded and based in exile in Japan where many anti-Qing revolutionaries gathered. 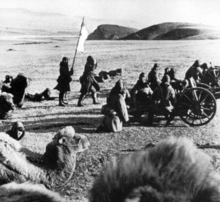 When the Red Army invaded Manchukuo, they captured 850,000 Japanese settlers. With the exception of some civil servants and soldiers, these were repatriated to Japan in 1946–7. Many Japanese orphans in China were left behind in the confusion by the Japanese government and were adopted by Chinese families. Many, however, itegrated well into Chinese society. In the 1980s Japan began to organise a repatriation programme for them but not all chose to go back to Japan. ^ "Oroqen". Encyclopedia of World Cultures. Archived from the original on 24 May 2018. Retrieved 23 May 2018 – via Encyclopedia.com.